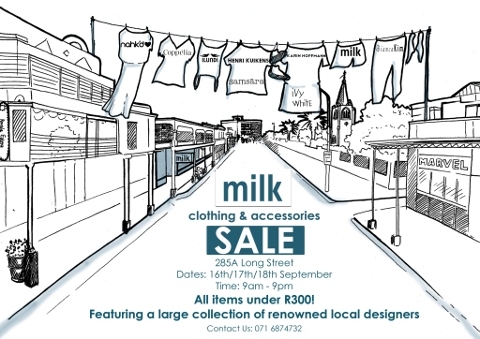 Milk in Long Street is having a sale weekend! Everything is under R300, and there are some very very well-priced Henri Kuikens items on the shelves. I invite you to my new blog.